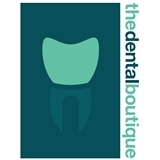 The Dental Boutique (New York) - Book Appointment Online! The Dental Boutique provides a personalized dental experience, tailored uniquely for each individual at every treatment reservation, always emphasizing comfort, privacy, quality of care, and aesthetics. Dr. Huerta is fantastic and the office is very beautiful and soothing.